Our most MAGICAL gift! When you are planning on surprising someone with a special gift for an engagement, new baby, birthday, congratulations, boyfriend, girlfriend, anniversary, wedding or are wanting to brighten a friend’s, loved one’s, or a co-worker's day, you're sure to be admired for your thoughtfulness and applauded on your presentation. You'd be surprised by what we can stuff inside this special 18 inch balloon! You name it...from small balloons, stuffed animals, to chocolates! 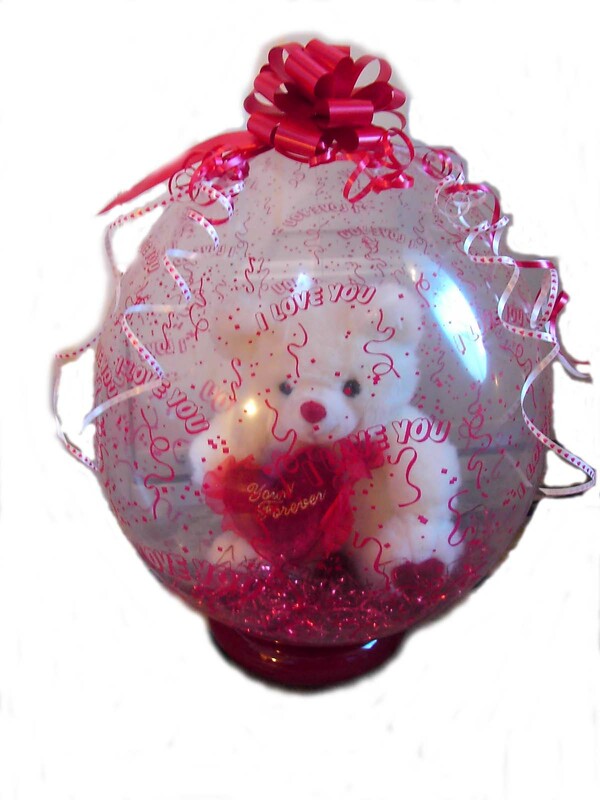 Ideas include plush animals, engagement or anniversary rings, t-shirts, chocolates, or a sparkling beverage. As pictured with a medium sized plush animal, $35.